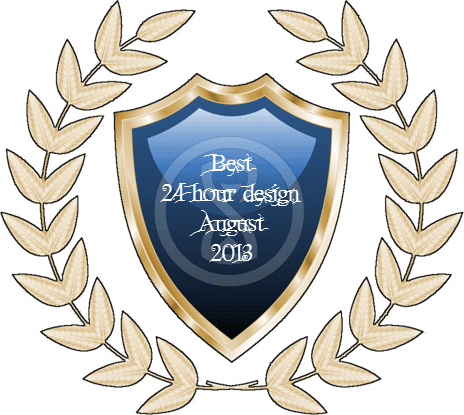 Augusts's 24 hour game design contest (details see here 24 hour contest and here 24 hour contest - August 2013) has been a tough challenge for the participants. Luck of the Draw is a real time dice and card game that takes place in the wild west. Two rival Posses are having shootout at high noon and will settle the score once and for all! Roll your dice to take a shot while simultaneously turning over the top card of your shootout deck. The shootout deck can be a blessing or a curse! It’ll determine the direction of your shot, whether the cavalry comes in as backup, or if one of your Posse members can get behind cover! The first player to eliminate the opposing posse wins. "Six Shooter" is a game for 2 or 4 players where The Law and The Outlaws face off to rule Canyon Diablo, Arizona. Players complete Bounties or Robberies to earn money and upgrade their revolvers. In addition, players have to prepare for The Final Shootout, when Law and Outlaws face off once and for all in the biggest shootout the town has ever - or will ever - see. Gameplay lasts for 12 turns (followed by The Final Shootout) and involves completing either Bounties (for The Law) or Robberies (for The Outlaws) by succeeding on specific die rolls. "Saddlebag" cards can help players make their rolls - or prevent the other side from making their rolls. Upgrading revolvers, too, can help players complete Bounties or Robberies more easily. Super Cowboy Rope Steer Adventure! is a game in which you try to aquire a herd of five steers, by building fences or rustling, while avoiding twisters, indians, bandits, pilgrims, and the other player's machinations. It's got retor 8 bit style graphics, because it can. 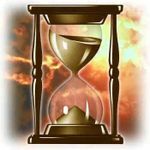 Rock Knock Block is a simple fast-paced tower building game based of the Hopi Indian traditional practice of stacking rocks to represent protective spirit-beings. There were Indians in the wild west... right? Circle The Wagons is a Wild West themed game for 3-5 players about investing, protecting and utilizing companies headed across the great plains. Players will load items into these company’s wagons, fend off the threat of bandits, and earn payments from these companies based on how successful they were.